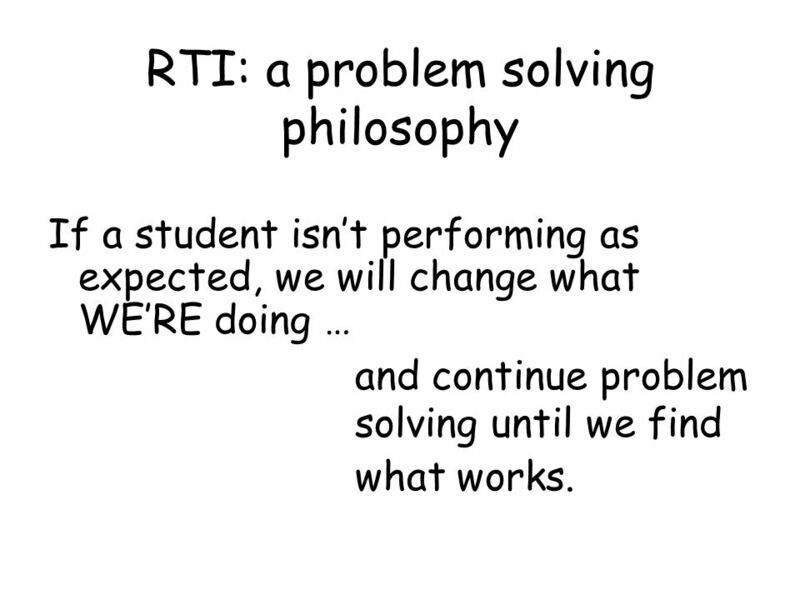 3 RTI: a problem solving philosophy If a student isnt performing as expected, we will change what WERE doing … and continue problem solving until we find what works. 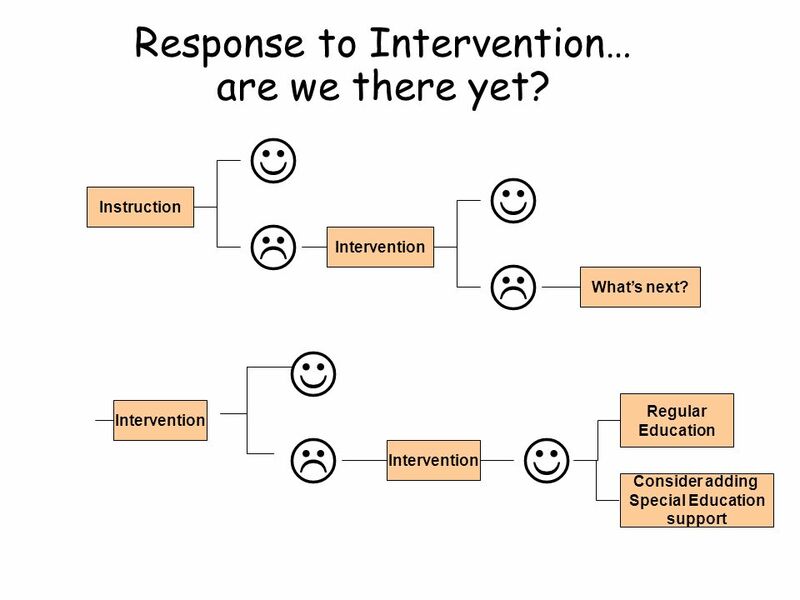 9 Did the student(s) respond to the intervention? 5. 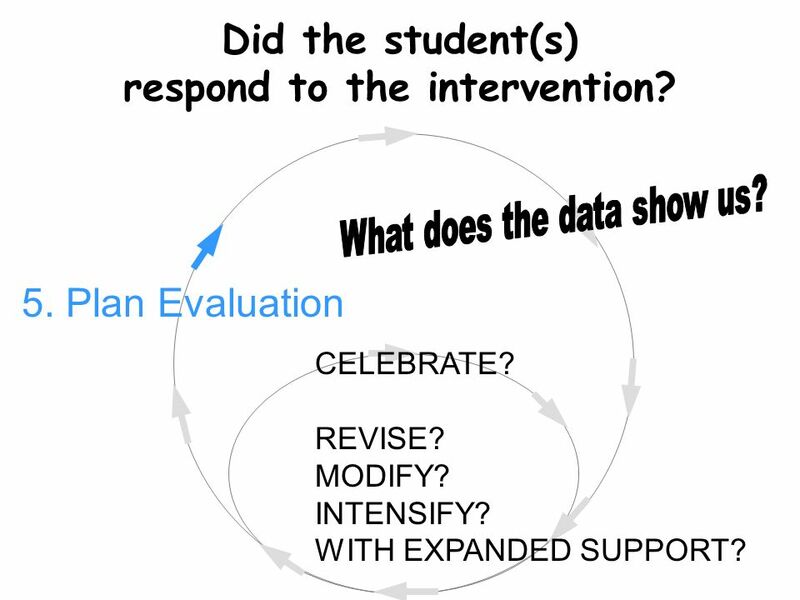 Plan Evaluation CELEBRATE? REVISE? 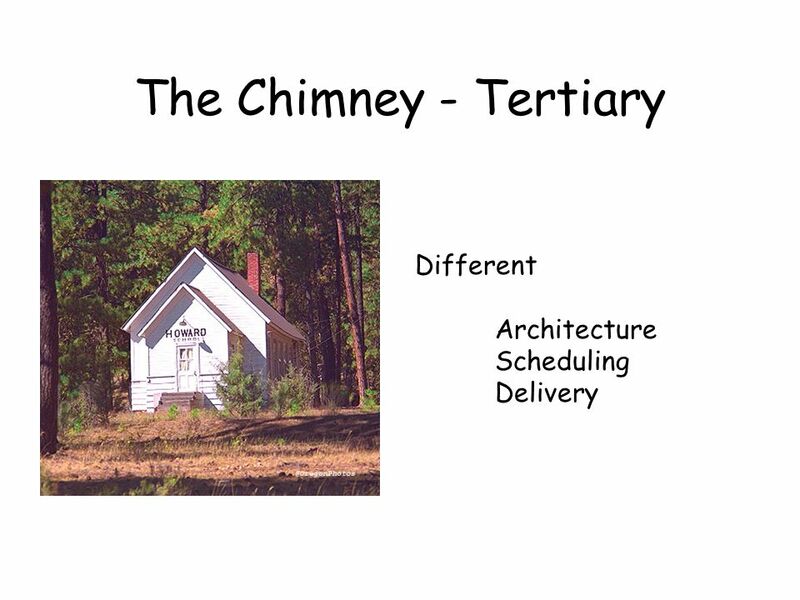 MODIFY? 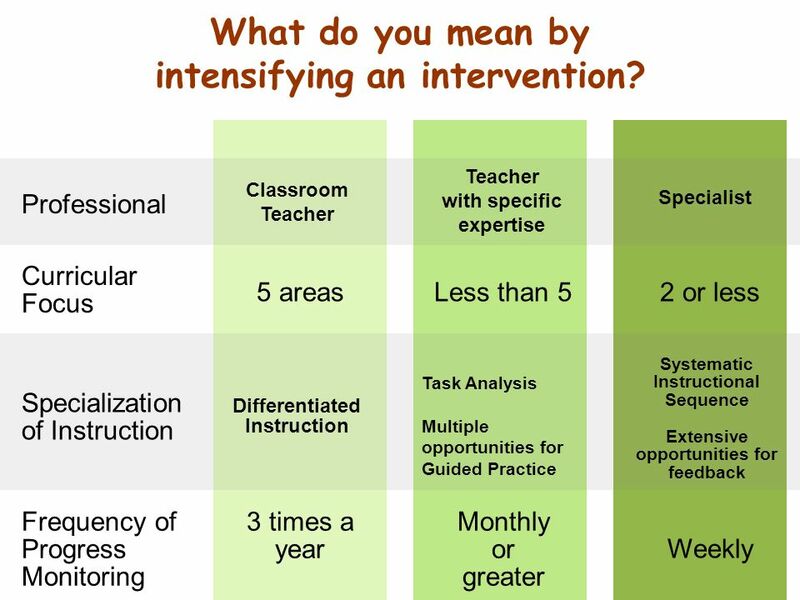 INTENSIFY? 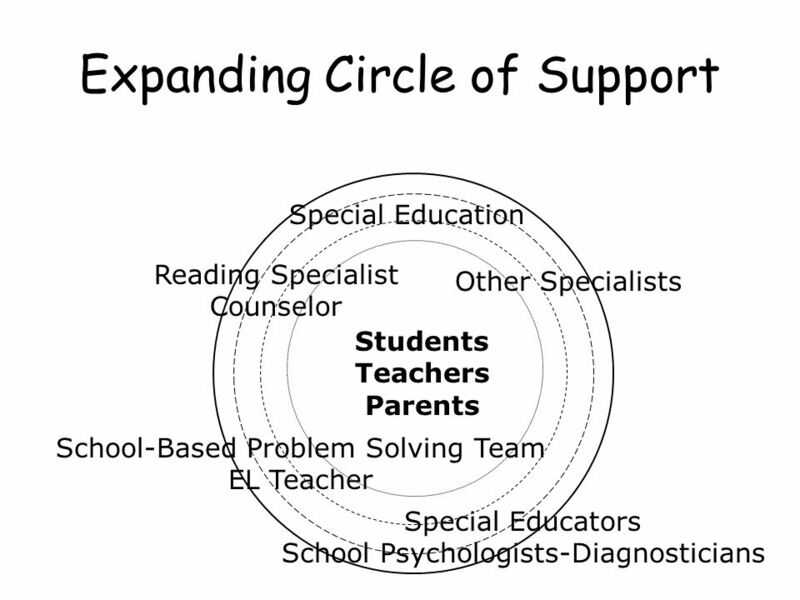 WITH EXPANDED SUPPORT? 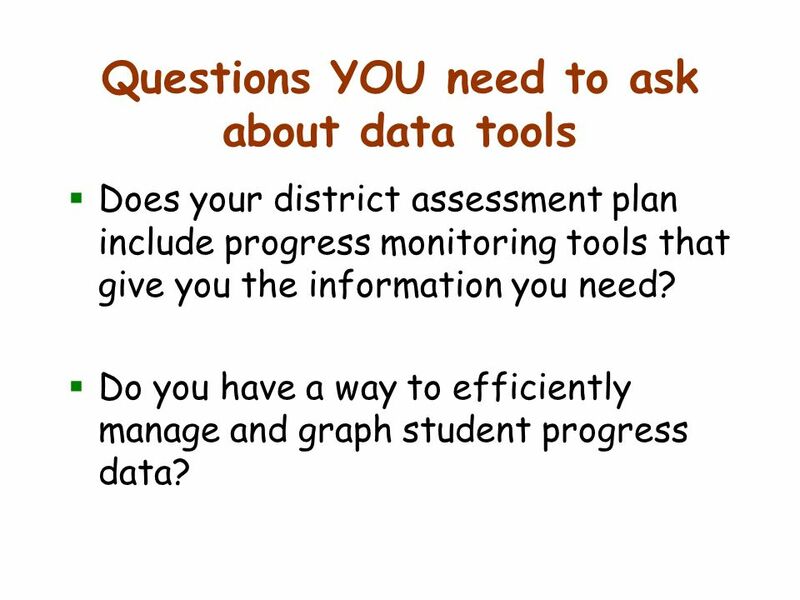 22 Questions YOU need to ask about data tools Does your district assessment plan include progress monitoring tools that give you the information you need? 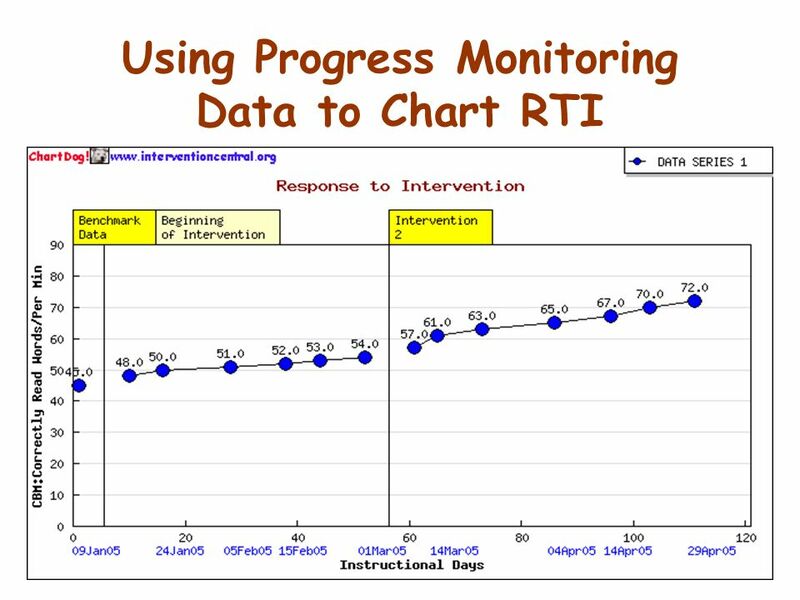 Do you have a way to efficiently manage and graph student progress data? 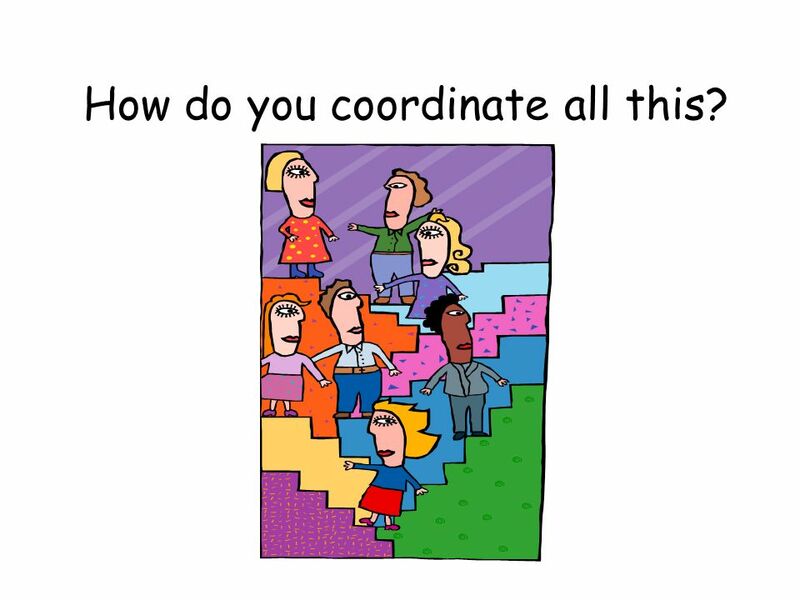 24 How do you coordinate all this? 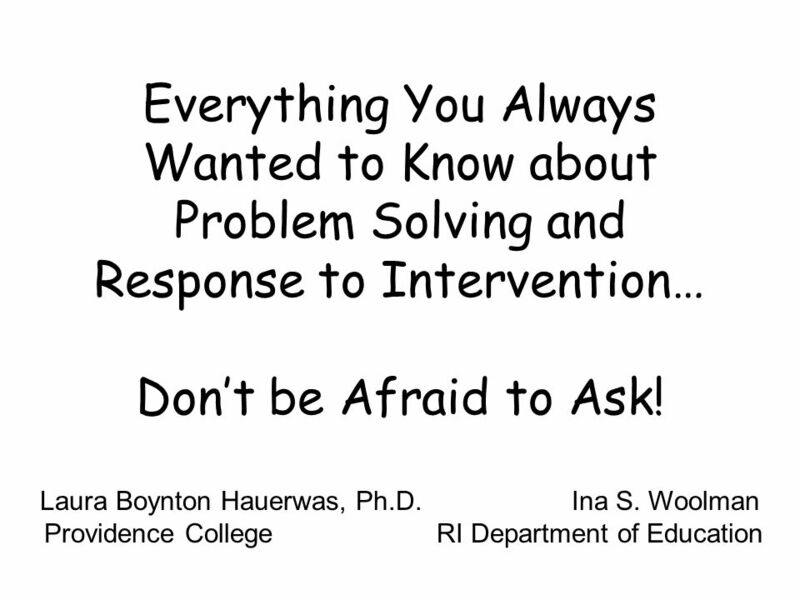 Download ppt "Everything You Always Wanted to Know about Problem Solving and Response to Intervention… Dont be Afraid to Ask! Laura Boynton Hauerwas, Ph.D. Ina S. Woolman." 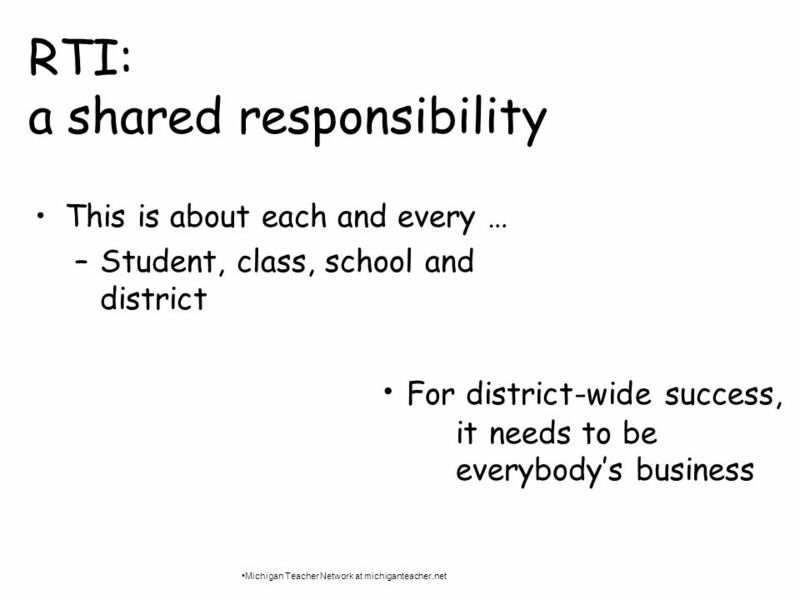 Strategic Interventions for English Learners Long Beach Unified School District Chris Dominguez, Deputy Superintendent Pamela Seki, Director, Program Assistance. 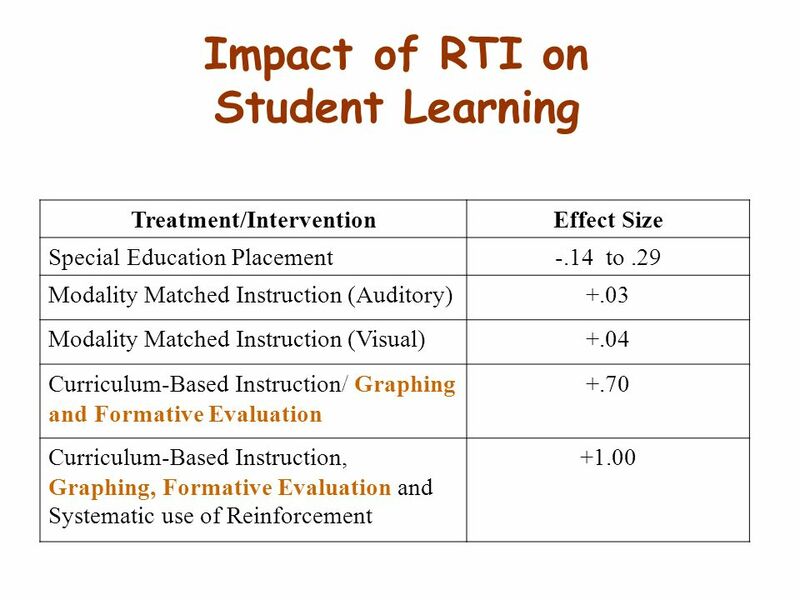 The Impact of RTI on Learning Disabilities Identification. 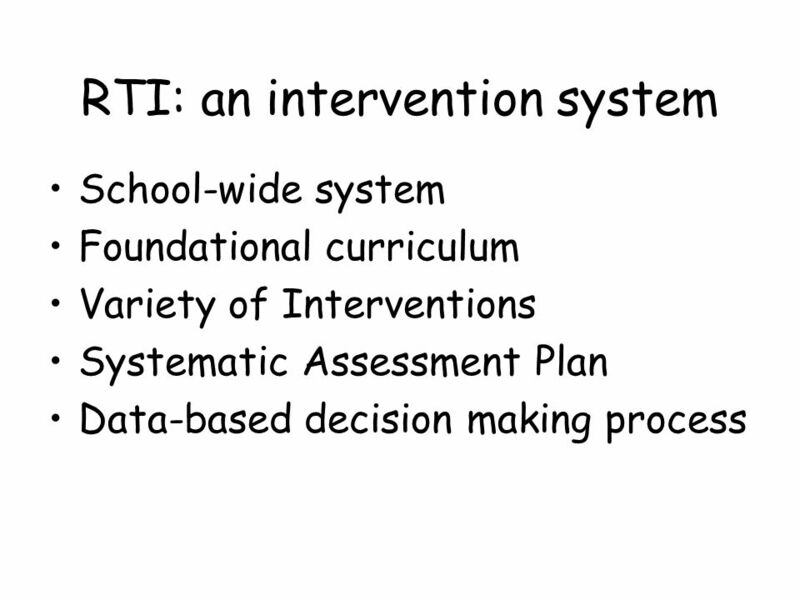 Building a Comprehensive Assessment System The Role of Assessment in Supporting RTI Marilynn Bouclin Kristen Matthes Donna Morelle. 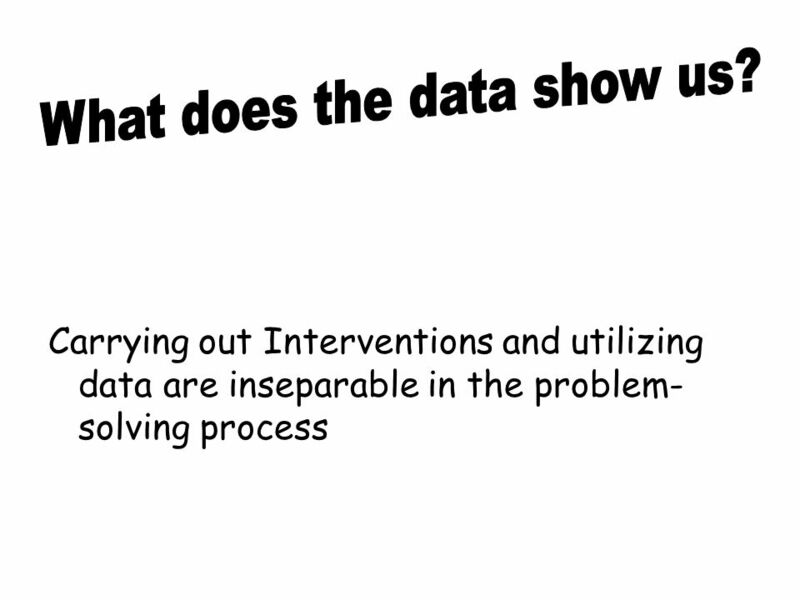 Moving Toward a Problem-Solving Approach that Uses Response To Intervention Data Laura Boynton Hauerwas Kristen Matthes Providence CollegeBarrington Public. 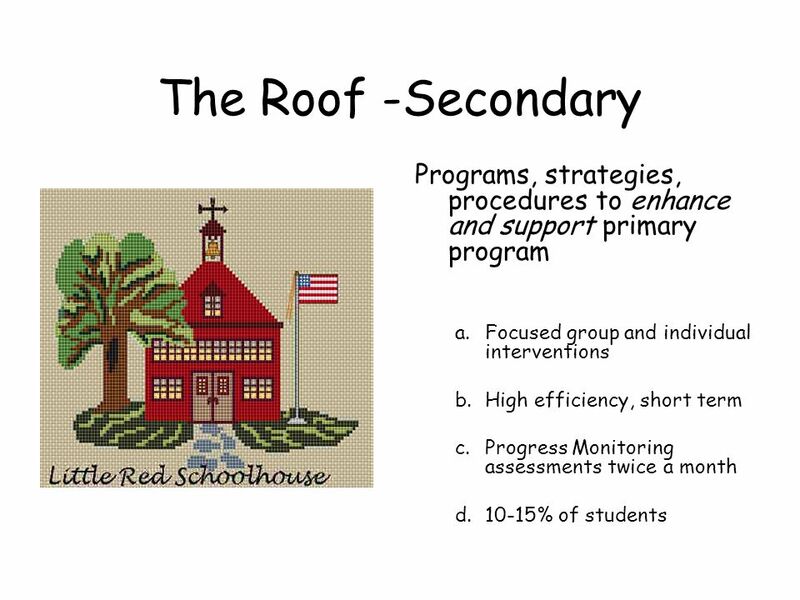 Response to Intervention: Tools for Improving Achievement District-wide Dr. Laura Boynton Hauerwas, Providence College Ina S. Woolman, Rhode Island Department. 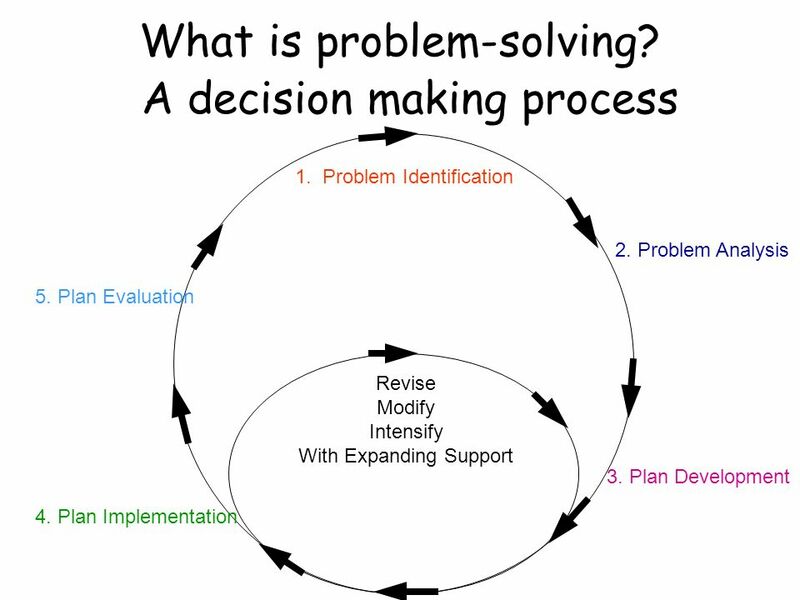 What is problem-solving? 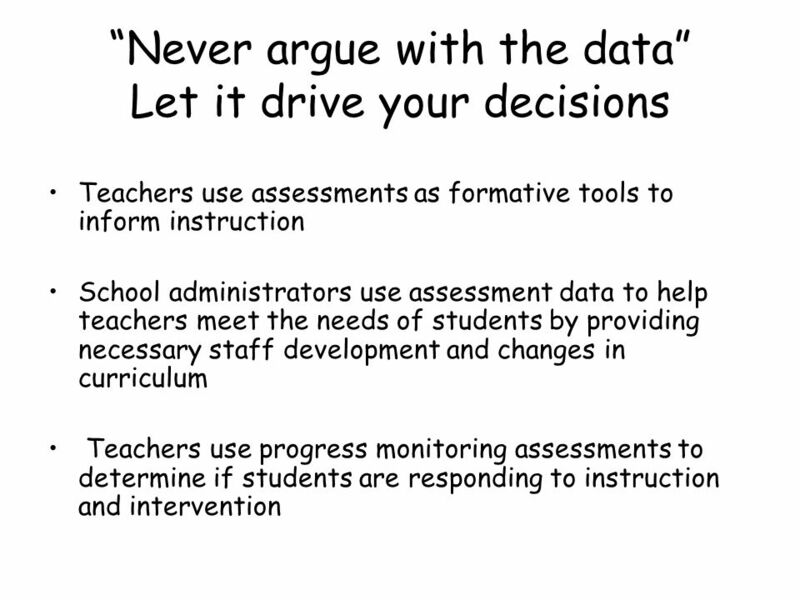 A decision making process that uses data 1. 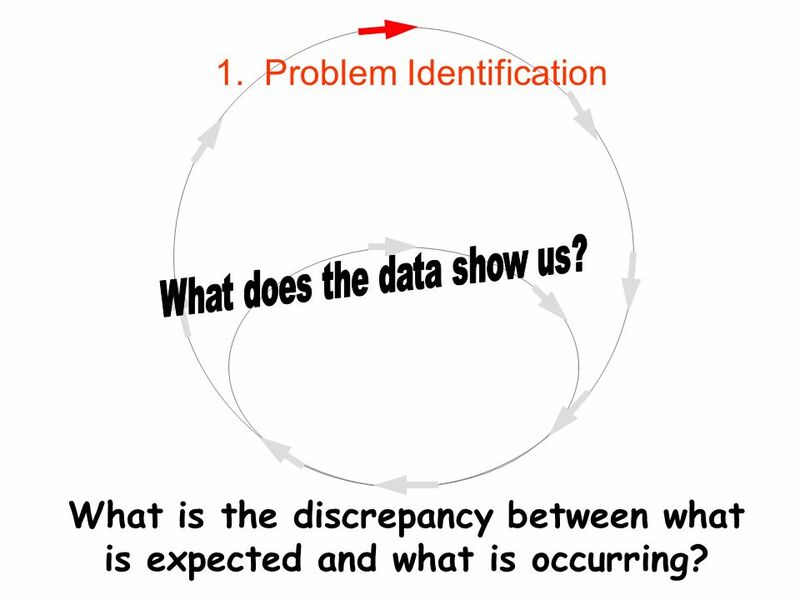 Problem Identification 2. 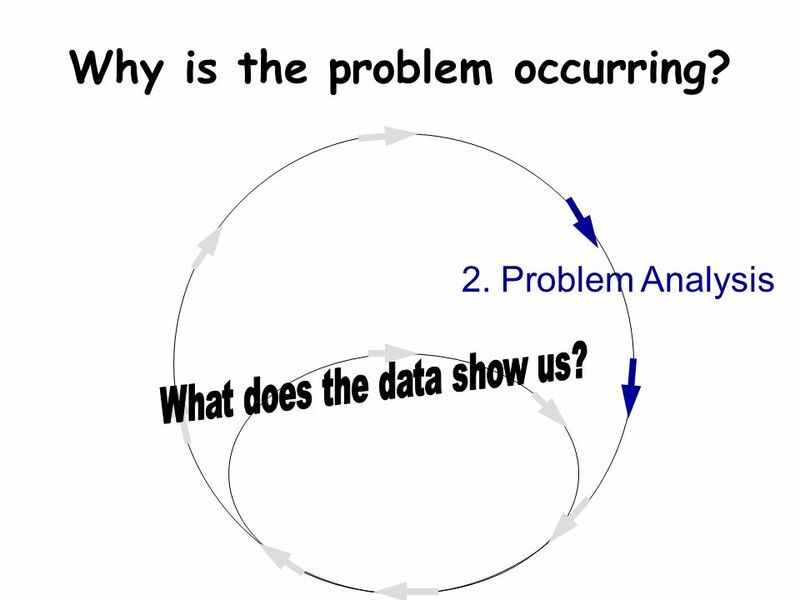 Problem Analysis 3. 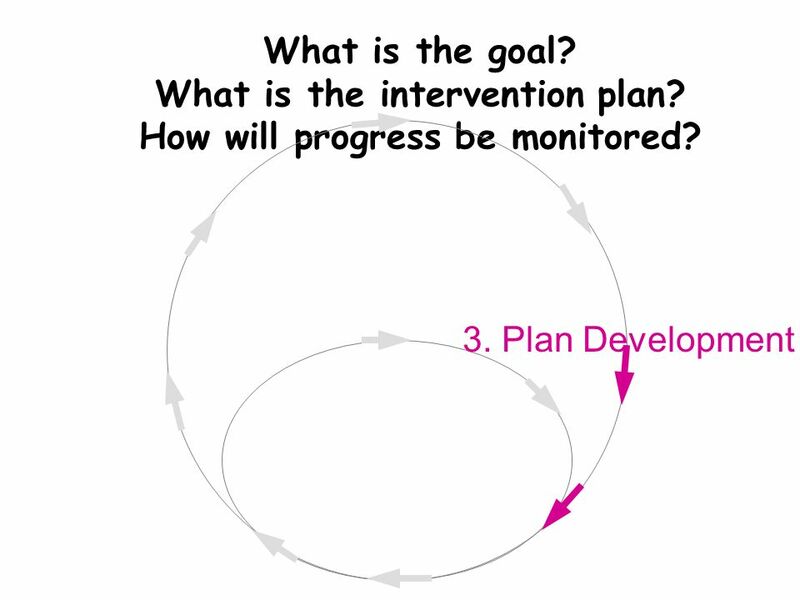 Plan Development 4. 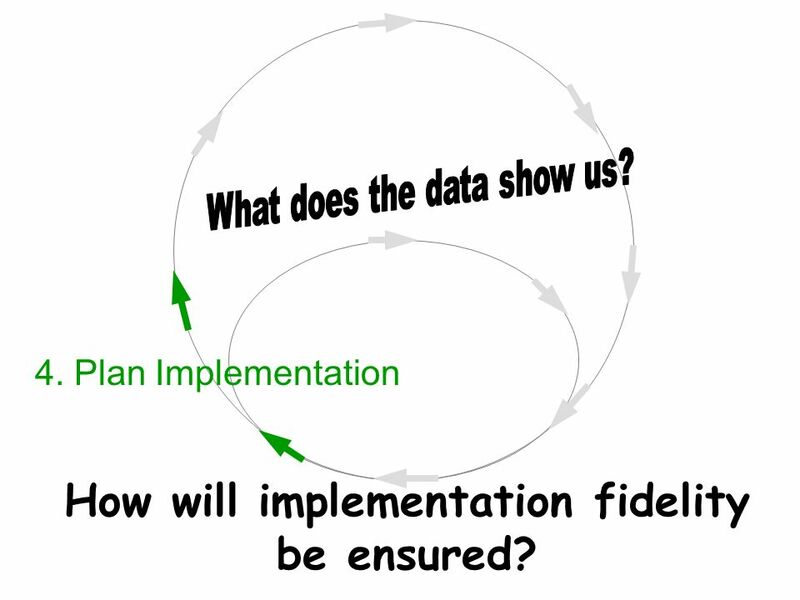 Plan Implementation. 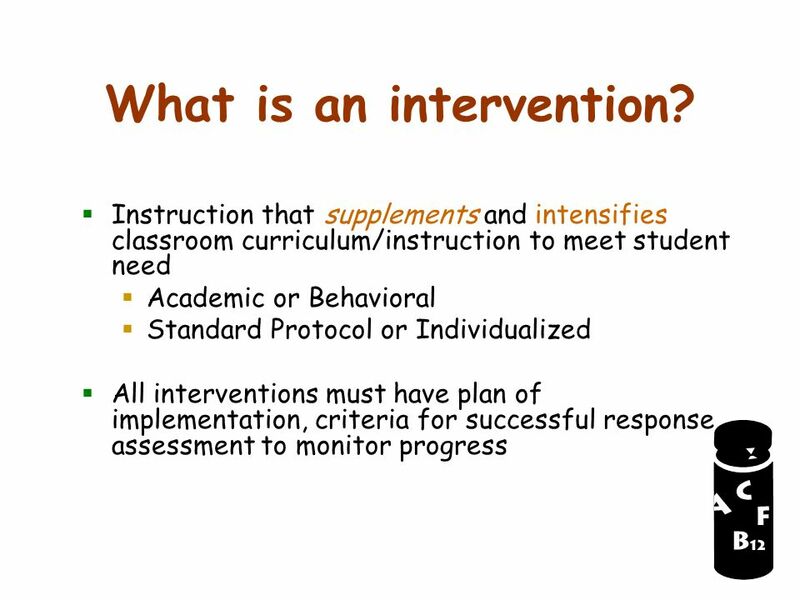 What is an Intervention? 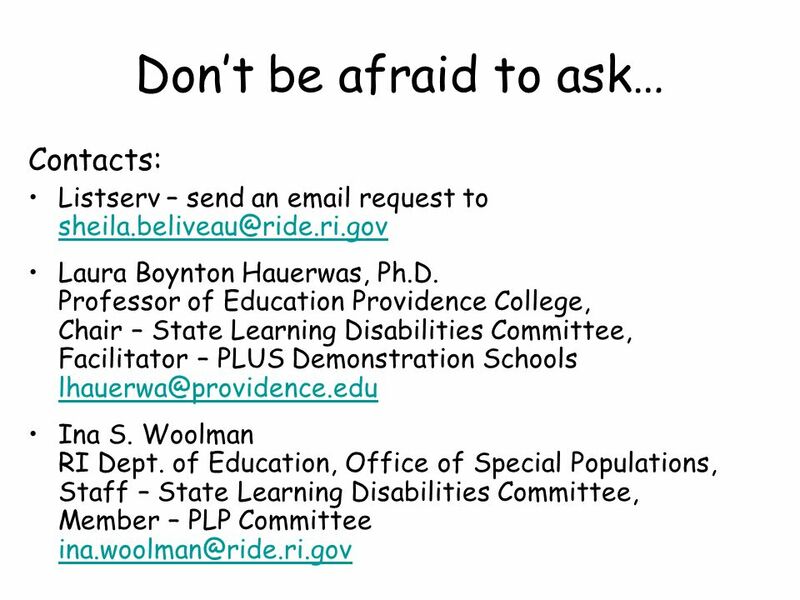 Rhode Island RTI Initiative Module Two 2007. 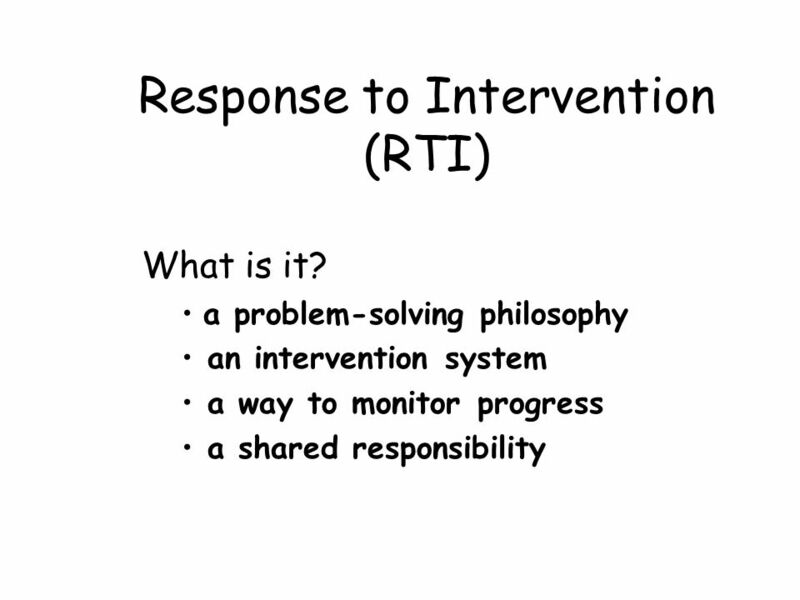 Response to Intervention: A Systematic Problem Solving Process Rhode Island RTI Initiative Module One 2007. 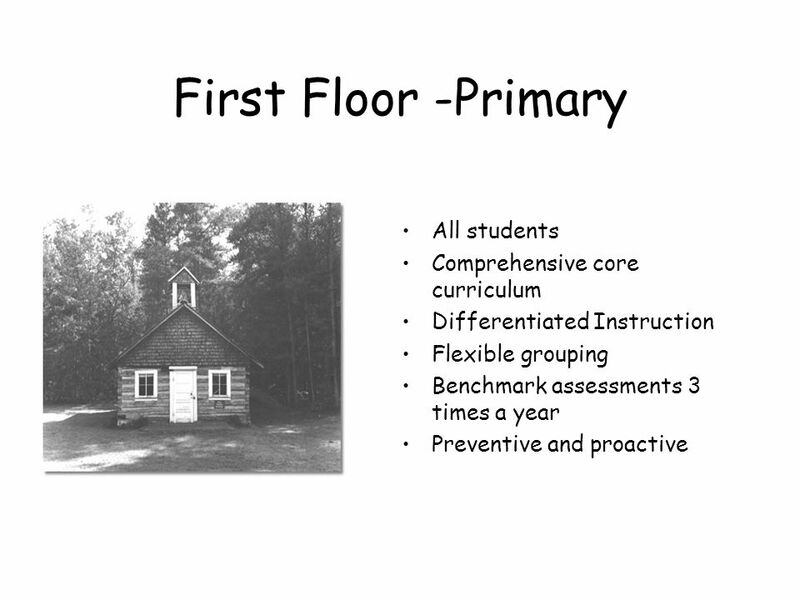 July 2007Alaska Department of Education and Early Development Response to Instruction Part III Teacher Collaboration.